Our café has a range of hot and cold food and drinks, from freshly made soup and sandwiches to delicious cakes and sweet treats. 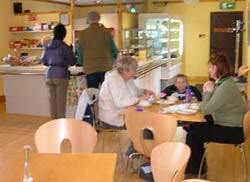 Along with kids meals, vegetarian and gluten free options our café has something for everyone. We are pleased to announce the launch of our new Caterpod – in the style of a Gypsy / Travellers caravan. 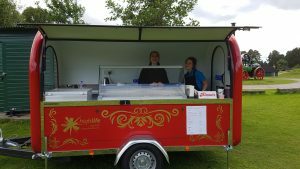 The caterpod can be found on our main picnic area, near reception and offers a wide variety of ice-creams and cold drinks – why not pop over and treat yourself! With thanks to AIM for funding our caterpod. Our traditional sweet shop – named after the Kirk family who farmed Aultlarie Croft prior to the museum moving onto this site – is a popular attraction for our visitors all year round. 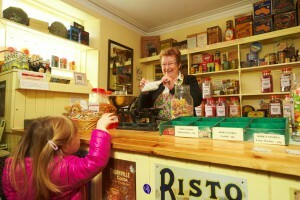 This recreation of a 1930’s sweet shop offers our visitors the chance to indulge their sweet tooth and nostalgia by buying a wee poke of traditional sweets such as ‘Soor Plums’, ‘Liquorice Comfits’, ‘Lucky Tatties’ and many more. 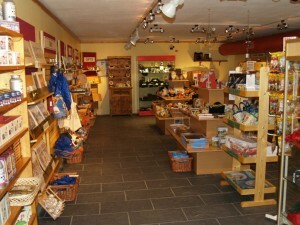 Our gift shop is located by the museum entrance and offers a range of themed gifts, souvenirs, local crafts, outdoor toys and lots more. Along with cold drinks, ice creams for the sunshine or woolly hats and ponchos for those rainy days the gift shop is an essential stop off for your visit to the museum. 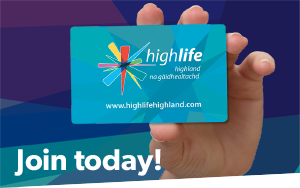 Don’t forget your can also buy ice-creams and hot and cold drinks in the shop! Mail order can be arranged for certain items, please ask a member of our team.